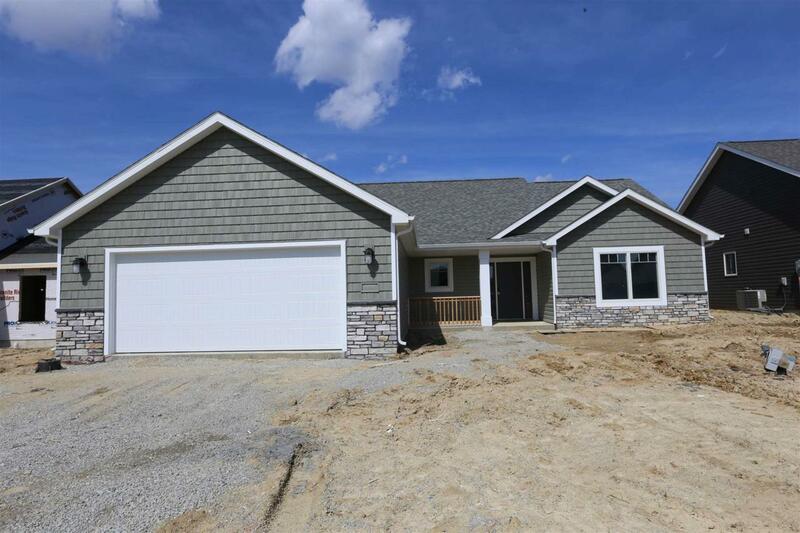 Gorgeous new villa home close to completion located SW in Villas at Summit Reserve. Split bedroom ranch home with spacious room and an oversized 2-car garage. The great room has a cathedral ceiling and corner direct vent fireplace with a beautiful stone surround. The open kitchen offers maple painted cabinetry with an island with breakfast bar, granite countertops, tile backsplash, and stainless steel gas range, dishwasher & microwave. Just off the garage is a walk-in pantry and laundry room with cabinetry. The master suite has a tray ceiling, master bath with a fiberglass shower, 5' wide vanity, linen closet and huge closet. Two additional bedrooms and a full bath complete the space. The nook has large sliding glass door lading to the screened porch and patio.